Salt creek attacks verdict:SA man found guilty for violent kidnapping. Salt Creek: SA man found guilty of six charges over attack on backpackers. 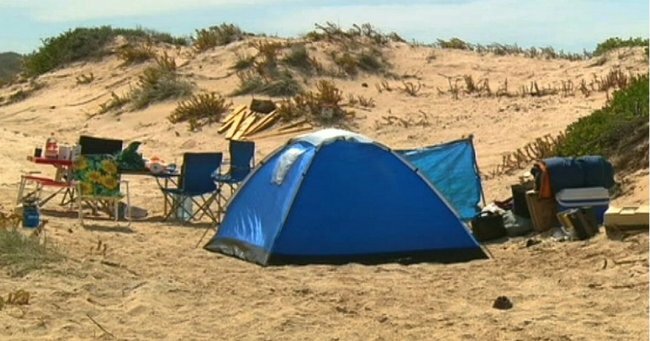 A 60-year-old man accused of brutally attacking two female backpackers at Salt Creek, in South Australia’s Coorong region, has been found guilty of six out of seven charges. The jury took just over 12 hours to reach their verdicts, finding him guilty of kidnapping, endangering life, causing harm with intent to cause harm and assault charges over the attack on February 9 last year. They found the South Australian man, who cannot be publicly named because his identity remains suppressed by the Supreme Court, not guilty of attempted murder. During the trial the court heard a Brazilian backpacker was found naked and screaming for help on the beach and the other backpacker, a German woman, was found covered head to toe in blood. Prosecutor Jim Pearce QC told the jurors earlier this week the women were honest and reliable witnesses. The defence did not call witnesses during the trial. During the 11-day trial, the court heard the two women, both now aged 24, each thought they were going to die during the attack. The two young women only met each other in the days prior through a mutual friend and decided to travel together as they both wanted to see the sights along the Great Ocean Road to Melbourne. The man met the women after responding to an ad the Brazilian woman put on the website Gumtree looking for a lift for the trip. The court heard they set up camp on a remote stretch of beach at Salt Creek and in the afternoon the German woman went to sleep in the back of the man’s car. During her evidence, the Brazilian woman said the man suggested they go look for kangaroos in the sand dunes and when she asked to go back to the camp he grabbed her from behind and pulled her to the ground. She said he pulled a knife from the back of his pants and threw it into the ground beside her before binding her wrists and ankles with rope, cutting her bikini off with a knife, punching her in the head and sexually assaulting her. The German woman told the court she woke to the sound of her friend screaming and when she yelled at the man to stop he ran after her and attacked her with a hammer. The 11-member jury returned its verdict just before 2:30pm on Saturday.